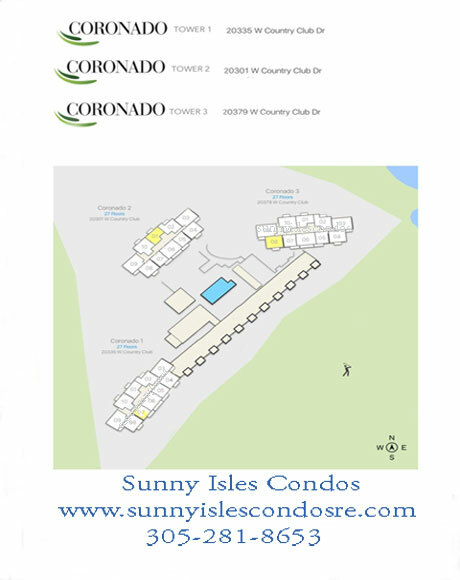 Units Sizes: 923 to 1,313 Sq.Ft. Coronado Towers, style trio of high-rise residential towers, 27 stories and 250 condos each Tower. 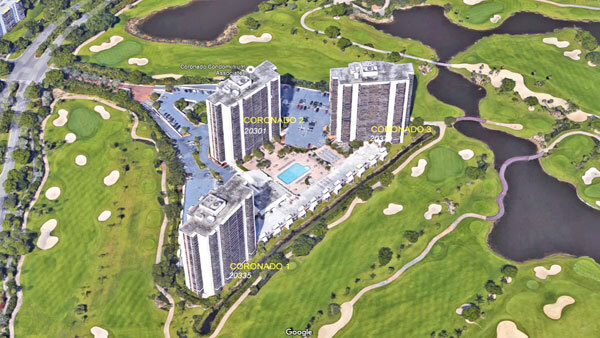 Coronado Towers I, II and III was built in 1975 at 20301, 20335 and 30379 W Country Club Drive, Aventura Fl. 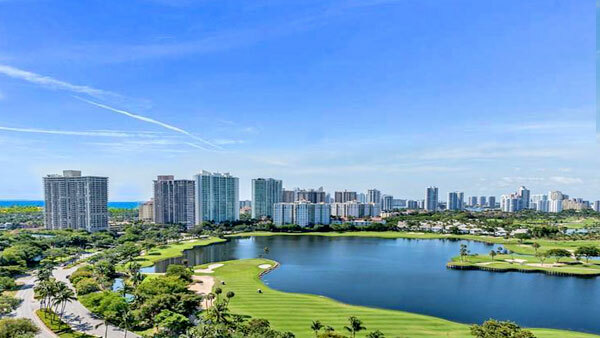 These towers share 7-acres development with Turnberry Isles Golf Course and an offer a total of 750 residences with one, and two bedrooms homes with floor plans ranging from 913 Sq.Ft. to 1,313 Sq.Ft. 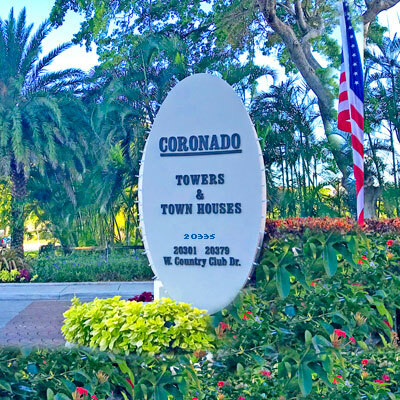 Owners at Coronado Towers enjoy incredible amenities like flower gardens, social deck, amazing Golf Course views, swimming pool, clubhouse, state-of-the-art Gym, sauna, Spa, billiard room, business center, aerobic studio, children playground. Many units at Coronado Towers was taken down to the walls and upgraded with beautiful, high-end finishes. New appliance package in kitchen, quartz countertops, custom cabinetry, new A/C, recessed lighting, smooth ceilings, impact glass sliding glass door to balcony. Coronado towers are going through extensive renovations, the building provides complimentary city shuttle bus, pool, gym, and 24-hour security. Step out to a Lushly Landscaped 3.5 miles of Jogging/Exercise Path which encircles Turnberry Isles Golf Course.